an elder's home and a girls' school. It also serves as the local urinal. 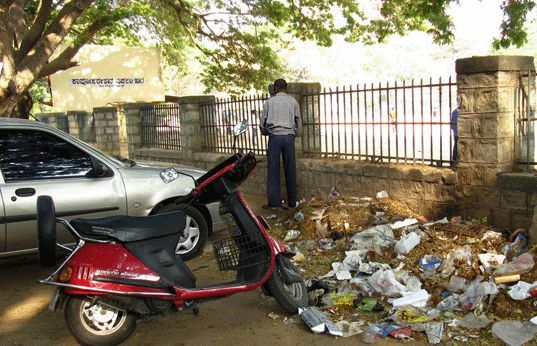 It's also a garbage dump, and the stench attracts others keen to get rid of rubbish or body fluids. It has been years since anyone walked on this footpath, and is a real eyesore. It’s actually a fairly well-laid footpath – and could be used, if only people stopped urinating there. School children are forced to walk on what is a very busy road with heavy traffic. 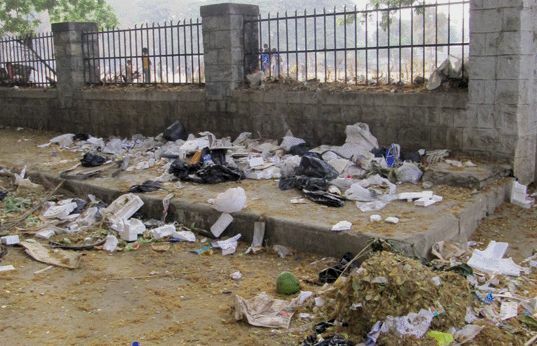 People have tried to clean the area but to no avail – the muck is back in a matter of days.